They say there are two seasons in Chicago: winter and construction. But maybe not this summer, if lawmakers and the governor don’t reach a deal by the end of the month. 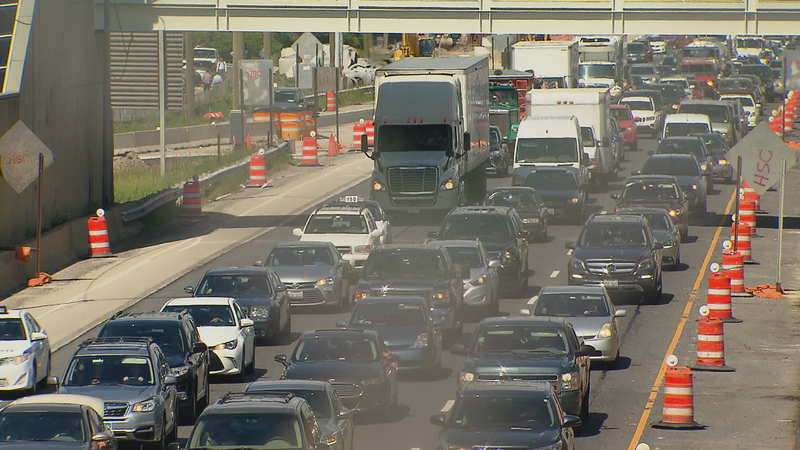 According to IDOT, 700 projects in various stages, totaling $2.3 billion, could be affected. Chicago-area projects also include resurfacing and ramp repairs on the Kennedy Expressway, a new bridge at the Cumberland Flyover and reconstruction of the Jane Byrne interchange. A halt in construction may sound like music to commuters’ ears, but more road rage and honking horns—not to mention higher costs—could be ahead. Take an IDOT project that involves reconstructing the west side of Interstate-55 from Lake Shore Drive. Pete Nielsen, who is managing the project for IHC Construction Companies, says the old bridges were in dire need of replacement and filled with potholes, so it’s necessary work. It’s also 95-percent complete, and Nielsen estimates it will be finished by mid-July—but not by the first of the month. “If we could get it done we would open up these two new lanes, everybody would have great access westbound on I-55. If not it’s basically in limbo and traffic will be held at its current position until the state opens it back up again,” Nielsen said. Nielsen says his crews are still working on the I-55 project. They—and lawmakers—still have time before the end of the month. But according to the head of the state road builders association, some projects are already shutting down because contractors have to get projects to a point where they can safely break. Unions say it’ll put a projected 30,000 people statewide out of work. Illinois’ already lowest-in-the-nation credit rating stands to drop even more if there’s no budget by July 1; a lower rating would mean the state will pay higher interest in the future when it bonds for big projects like these. Construction projects won’t be the last of consequences if a budget fails to pass: Schools, universities, hospitals, social services are anxiously awaiting a budget. This isn’t the first time IDOT issued these warnings: That has happened before, but was prevented by a last-minute deal. Illinois does have the money for road projects; an amendment to the constitution voters approved last year means there is a special pot of money that guarantees a direct funding stream. It’s a matter of whether legislators and the governor pass a deal that would authorize it to be spent. June 19: The pressure is on for Illinois lawmakers to strike a budget deal before July 1, the start of the next fiscal year. June 14: Republican state lawmakers say they have crafted a balanced budget bill that is both a compromise with Democratic proposals and one Gov. Bruce Rauner has promised to sign if it’s passed. June 12: The state owes nearly $15 billion in unpaid bills, and if a budget isn’t passed, the backlog could swell to $24 billion. Can a deal be made? We discuss the budget crisis.